The Asus Zennovation CES 2017 press conference begins at 7.30pm UK time today but ahead of that there has already been some interesting Asus news on the wires. If you like your PCs compact and powerful then you might be interested in what The Verge reveals is the latest in the Asus Vivo mini-PC line - the VivoPC X, designed to be compact yet VR Ready. In other Asus news its ROG gaming division has released an "epic line-up of new motherboards," to coincide with the launch of Intel Kaby Lake for desktop. 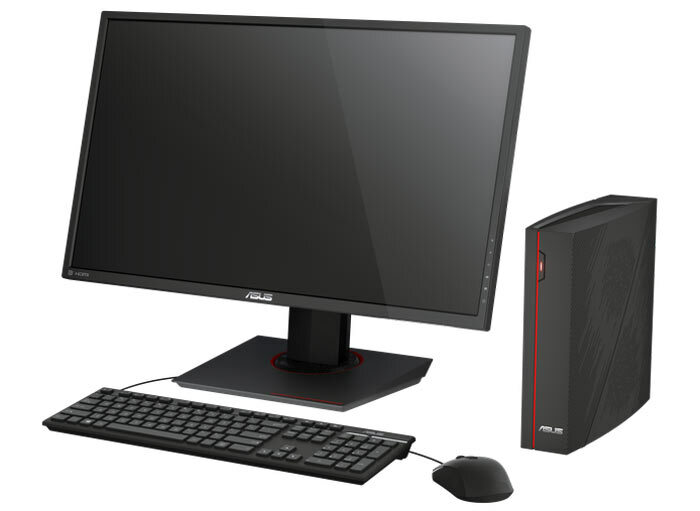 Asus has designed the Vivo PC X to be compact yet powerful enough for enjoyable virtual reality experiences. It apparently weighs in at "just under five pounds," (2.25Kg) but we don't have the chassis dimensions. However, you can see it positioned in the photos next to a standard looking keyboard and gaming mouse - the dimensions of which are pretty static between models (see above). We thankfully do have some specs for what is inside the Vivo PC X. Its processing power is derived from one of the new Intel Core i5 Kaby Lake processors and an Nvidia GeForce GTX 1060 graphics card (not sure which version). The Verge says that the processing power is backed up by 8GB of RAM and a 512GB SSD. 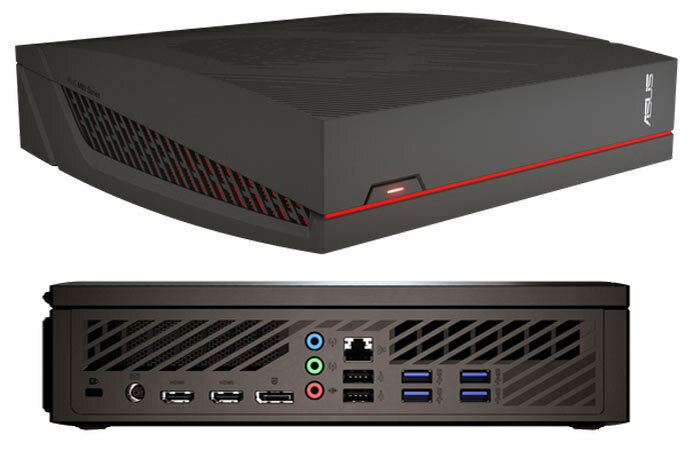 Cooling is a particular concern in compact systems and Asus is said to have equipped a special heat pipe cooling system with a through system air flow design. Port configuration is important to being VR-Ready. The Asus Vivo PC X has more than the requisite selection of I/O and offers; four USB 3.1 ports, two USB 2.0 ports, Ethernet, 3.5mm audio I/O, two HDMI ports, and a DisplayPort with G-Sync support. This machine is said to be available from March, priced at around $799. Yesterday HEXUS reviewed the Asus ROG Strix Z270F Gaming which uses Intel's Z270 chipset. Tarinder found that the board offered meaningful upgrades over a 100-series board, a slight speed benefit, and the latest RGB frills. That motherboard was just one of nine from Asus ROG - and several other firms have equally expansive ranges now. 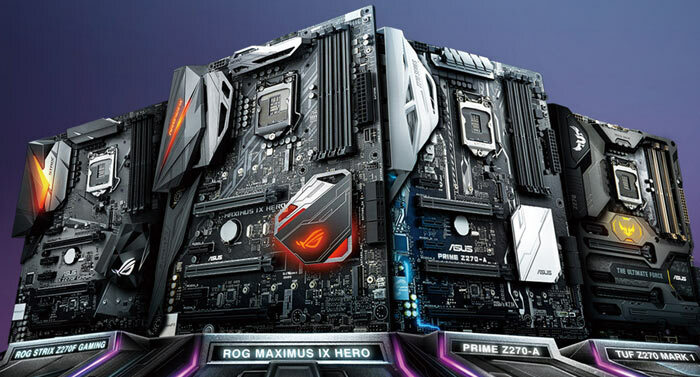 If you are an Asus motherboard aficionado you can find four distinct ranges of 200-series boards that may appeal to you. The ROG Maximus, TUF, Prime, and Strix all offer comprehensive cooling options, reassessed M.2 slot locations, OC options, reinforced 'SafeSlot' PCIe slots, Aura Sync lighting, and more. You can read much more about the full range of new motherboards on the Asus ROG blog. Damn, that Vivo PC X is actually a steal, pretty much the same cost as building it but in a form factor smaller than the Xbox One. I'm a huge Apple lover but my SFF senses are tingling and that's the first Windows box I'd consider, more for what's been squeezed in than any styling. If it's not too noisey, at that price it's a bargain. Guessing it'll be around £800 with conversion and tax etc. If this has another stupid soldered in card then who cares?? Every single SFF PC I have owned for gaming since 2005 has had the option to change the card. If you are buying a paperweight you might as well get a PS4 PRO which is significantly cheaper,will have a longer lifespan and even has a downclocked RX480 too. Another non-upgradeable ripoff for £800ish at current exchange rates. So when the card runs out of puff,you chuck the PC away. By the time you add the cost of a reasonable monitor,you might as well spend a bit more and get a gaming laptop. I know plenty of people will buy this without thinking,but these are basically laptops in a bigger case,without a screen. Look at the video in post 3? The desk used is huge,so much so you could fit a larger SFF PC with an upgradeable card. Plus LMAO - selling it for VR? You mean VR which needs half decent graphics - its a bloody con. As the VR titles get more and more demanding,then the PC will increasingly fail with a GTX1060 onboard. Cards like a GTX1060 or RX480 can just about do VR for anything more than very simple titles,but tests have shown something like a GTX1070 is probably ideal. Don't worry that means Asus will set you up for the second generation £800 to a £1000 Asus Vivo PC X MK2 with a 5% faster CPU,different coloured highlights and a faster card. So spend £800 minus whatever the old PC is worth to simply just get a faster card.